Mom, You’re Cooler than Squashed Possum! 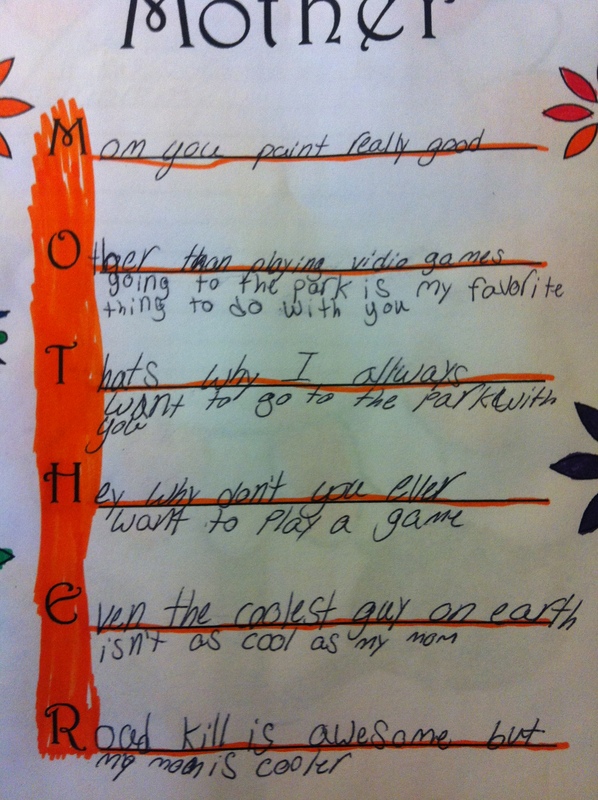 Kristen’s 9-year-old composed this ode to her awesomeness for Mother’s Day. We can only imagine how teary-eyed Kristen was after reading it. Teary-eyed from laughter, possibly, but teary-eyed nonetheless. Email an image of the piece to either leanneshirtliffe@gmail.com or mcfadden.chase@gmail.com. Or to both if you’re feeling ambitious.